At Achievement Night the results from the county record book judging are announced and the winners receive their county recognition pins. 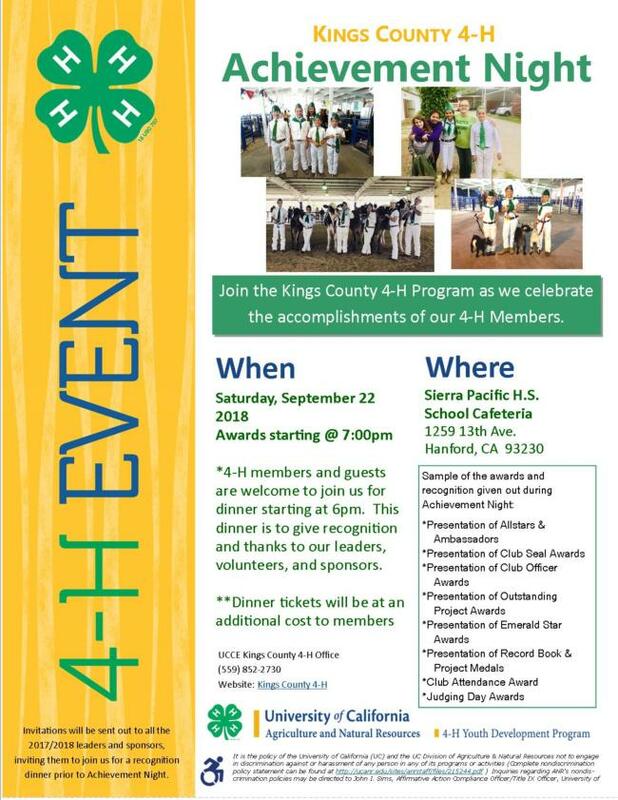 There will be special awards for the 4-H club with the largest percentage of last year's membership in attendance and the most spirit. Encourage your fellow members to attend. Members will sit together by clubs.